The all-new 2020 Hyundai Palisade offers three-row seating for up to eight and power comes from a 291 horsepower Atkinson-cycle 3.8-liter V6, dual CVVT, direct-injected engine mated to an eight-speed automatic transmission with a multi-plate torque converter and offers both two-wheel and HTRAC® four-wheel-drive configurations. 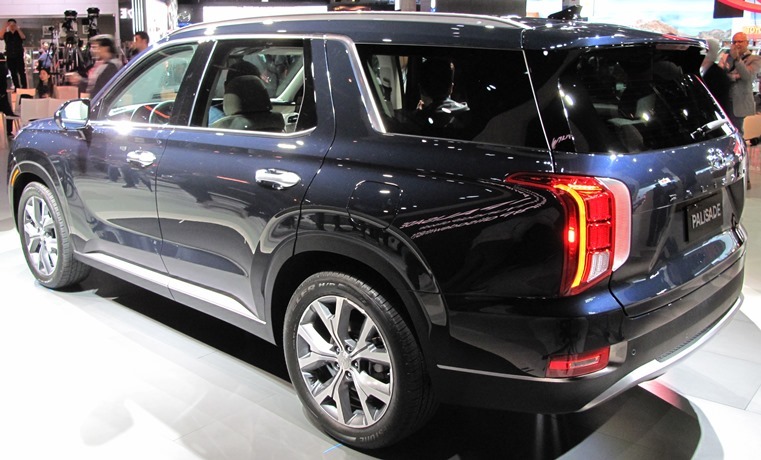 Palisade also offers a Blind View Monitor that complements the standard Blind Spot Collision Avoidance Assist, which provides body-side views whenever the turn signal is activated. The audio and navigation display is a generous 10.25 inch touchscreen in widescreen format, coupled with a 12.3-inch fully-digital TFT center instrument cluster offering various view modes and differentiated drive mode illumination. Palisade’s available Heads-Up Display projects a virtual image onto the windshield with information such as speed, Smart Cruise Control status, navigation, Blind-Spot Collision Avoidance Assist, Forward Collision-Avoidance Assist, speed limits, Lane Following Assist and audio system data.The Palisade will be produced in Ulsan, Korea and will be available at dealerships across the U.S. in the summer of 2019.